I was contemplating the universe the other night while smoking and my thoughts strayed towards packing my pipe and how I do it a little differently for each pipe that I own. I know all of us have had trouble in the past with packing a pipe especially when we first began. Depending on the cut or form of the tobacco we all like to experiment although I've had good luck with the Frank method when it comes to ribbon or crimp cuts. Flakes, ropes and plugs are a whole different ball game so I won't be covering those here. In any case I like my pipes to have a very free draw with no constriction. I do have one pipe which is a Bjarne bent acorn that has a mildly restricted flow. This happened to be the pipe I was smoking when my thoughts came to pipe packing. I noticed that with the slightly restricted draw that the pipe wasn't as warm to the touch as my other pipes get and I was sipping the smoke more slowly than I do with my open draw pipes. 1. With a free draw I noticed I tended to heat up the pipe since it was much easier to take a deeper draw. 2. If I pack my free draw pipes a little heavier than usual and *slightly* restrict the flow I sip a little slower and the pipe doesn't get anywhere near as hot. 3. As an added benefit I've noticed lighter flavors that were meant to come out of the tobacco and weren't "washed out" by the heat generated in the pipe. Hardly earth shattering revelations but I thought I'd share them with you guys in case there are any new smokers that might find this helpful. Also, remember that it's just as easy to over pack your pipe and completely shut off your draw so that you're having to relight frequently. 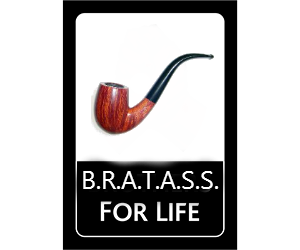 For me pipe smoking has been a journey of self discovery and a delicate art as well. 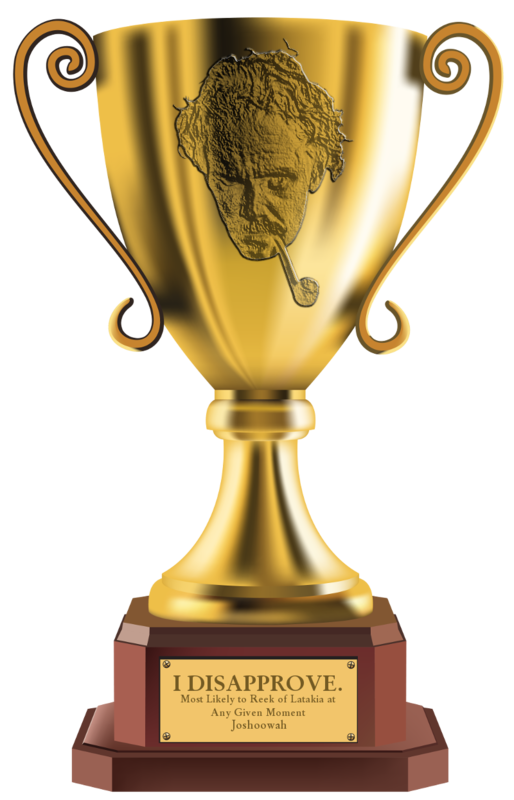 As an analytical person by trade it's actually nice to step away from "hard science" and enter in a hobby that I truly consider an art since each pipe smoker has different tastes and habits that cannot be covered at all by a single set of instructions. Last edited by MrPiper on Sat Sep 03, 2016 8:54 am, edited 1 time in total. I found dryer lint gives too much bite. Navel lint is better. FredS wrote: I found dryer lint gives too much bite. Navel lint is better. You need to moisten it a little first... it'll take the edge off. Good post, 7. It helps us all to keep the basics in mind. I think packing the pipe is probably the most enigmatic aspect of pipe smoking to me, as it seems like each different tobacco benefits from slightly different handling. Of course, I pack everything pretty much the same, so they don't get much benefit from me! Also, congrats to you guys - that was one of the quickest thread perversions I've seen on CPS. Steverino wrote: Good post, 7. It helps us all to keep the basics in mind. I think packing the pipe is probably the most enigmatic aspect of pipe smoking to me, as it seems like each different tobacco benefits from slightly different handling. Of course, I pack everything pretty much the same, so they don't get much benefit from me! It always seems that no matter the hobby getting back to "the basics" brings the most joy out of it. Take bike riding. Sure you can have some super awesome full suspension "Cannonballer" special with disk brakes that will allow you to go 90 miles an hour down the side of a mountain but some days that doesn't seem to be as fun as riding an old Schwinn cruiser down a quiet country road. Just like pipes. Some days the most enjoyment are from an old beat up briar with a perfect pack of Prince Albert. Dryer lint cased with Bounce Outdoor Fresh - excellent aromatic. Although, yes, a bit of a bite. Last edited by MrPiper on Sat Sep 03, 2016 8:52 am, edited 1 time in total. Respectfully, I eschew use of the word "pack" relative to pipes. Pack implies, esp. to the newguy, exactly what you don't want to do with a pipe. It conveys an intent to do more than you should and implies a haphazard methodology. The word pack should not be in the pipe lexicon. I promote use of the word fill. A pipe is filled, not packed. If you start with the word fill rather than the word pack the process automatically becomes more thoughtful and more correct. There. I've said it. Navel lint is still superior, because of its natural moisture content. What about Naval lint??? Does it taste like squid? It's been the unwritten rule that the pipe is for those men who've seen some things worth talking about. I’ve had wonderful luck with a couple of poor smokers by smoking the crud out of them, non stop, for a matter of 7-15 days. Cleaning them, of course, but just forcing them to break in. It’s painful, but it works. Slowtoke is an engineering man and his ideas have caught my notice in the past. He thinks correctly redrilling fixes everything but poor briar curing. He’s probably right. I think my smoke the shizz out of it method only works on poorly cured briar. I adopt the wosbald method for all tobacco types.